There is no other character in British hiking quite as celebrated as Alfred Wainwright; although he is little known outside of the UK, for many he is the godfather of recreational walking. His pictorial guides to the hills and fells have made much of the UK, and in particular the Lake District, accessible for all to enjoy. It all began on 7th June 1930. Wainwright had saved enough money for a weeks holiday in the Lake District in North-West England. He took the bus from his Blackburn home and after arriving in Windermere he made for Orrest Head; it is a short walk but ends with breathtaking views over the town of Windermere, the lake of the same name and the surrounding fells. From then on he was hooked, he spent the following years making multiple trips to explore the Lake District – he even found ways to make the journey during the early years of World War II, when travel was heavily restricted. So keen was his love of the area, that in 1941 he took a pay cut and moved north to Kendal to work for the Kendal Treasurer's Department. The hills were now on his doorstep and he ventured out at every opportunity, building a personal relationship and deep knowledge of their many peaks. 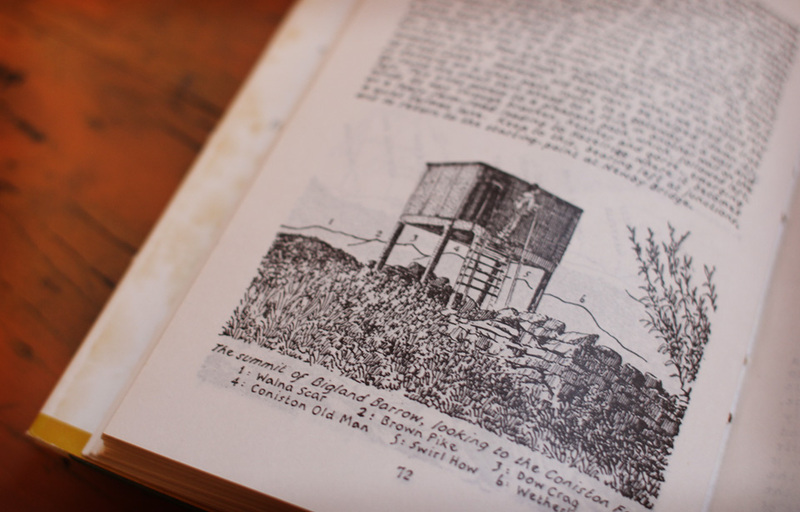 Being a meticulous scribe, illustrator and artist, as well as a passionate walker, Wainwright began to document each of his trips. 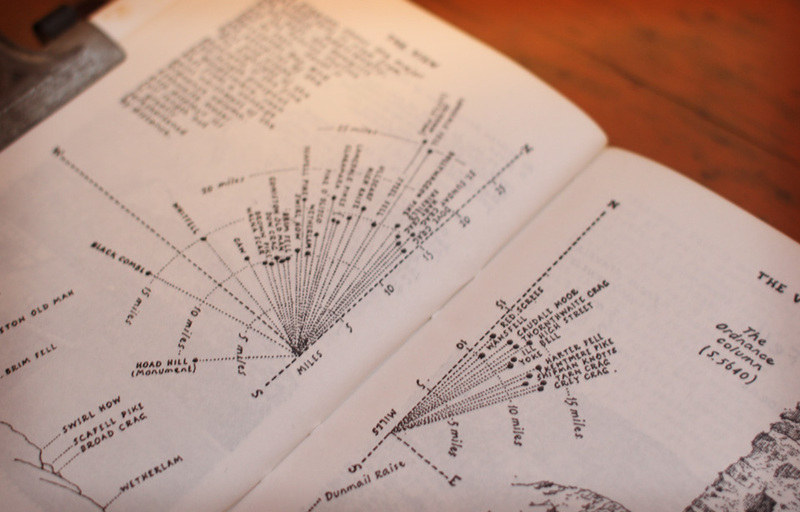 In 1951 he began work on a set of Lakeland Guides, he intended to climb and document every one of the 214 Lake District's Fells. He completed this in 13 years and compiled them into seven books, once published they became instant classics, inspiring millions to load up a pack and head to the hills. 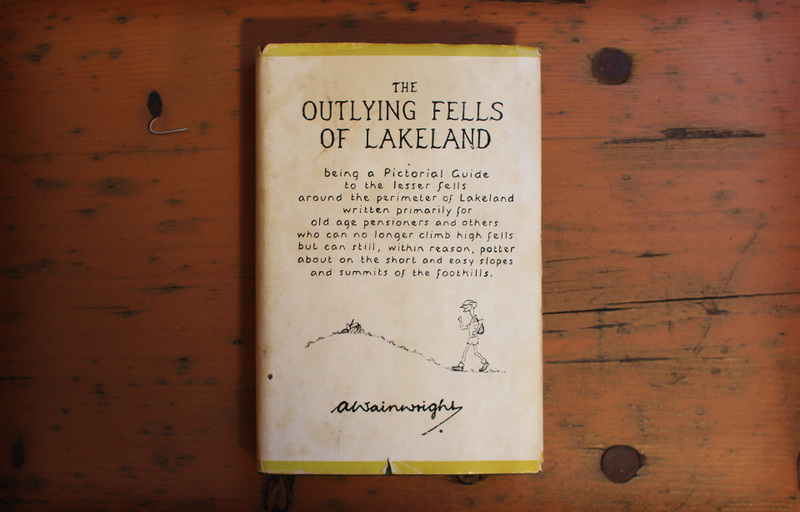 Wainwright went on to expand his range, creating guides for the Pennine Way, the Coast To Coast walk and eventually the Lake District's Outer Fells, these have also become indispensable walking guides. Each Wainwright guide is exquisite. Every publication is a compilation of his illustration and writing; of factual practical knowledge as well as his whimsical musings. If you chance upon any be sure to pick them up, even if you have no intention of visiting the Lake District – they are real works of art and an amazing case study in information design. His guides are now part of UK folklore, so much so that the 214 peaks in the Lake District are now known as 'Wainwrights'. The guides are still widely available and have been recently updated by Chris Jesty (a friend of Wainwrights) for Frances Lincoln who now has the publishing rights for the guides. Sadly Alfred Wainwright passed away in 1991. He may have been quiet and reclusive in life, but his legacy does, and will, continue to speak loudly of his love for the hills and fells for years to come, through the practical content of his guides and in the memories created by the generations of walkers they inspired. Posted on March 12, 2015 by admin and filed under Hero and tagged Alfred Wainwright wainwright Lake District lake district books fells hills hiking lakeland.